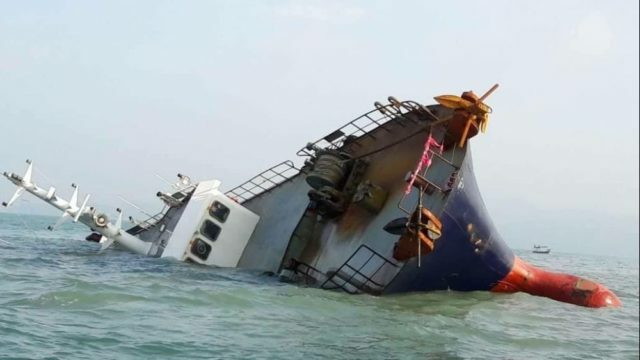 The 43.6 meter long fishing vessel Xin Yi Yi capsized and partially sank off Penang Island, Malaysia. The Xin Yi Yi had struck the wreckage of a previous shipwreck damaging the hull and allowing water ingress. The five crew on the Xin Yi Yi were rescued by authorities. No reports of injuries. Authorities are monitoring the site for any signs of pollution released.